Looking for an unique gift for the librarian in your life? 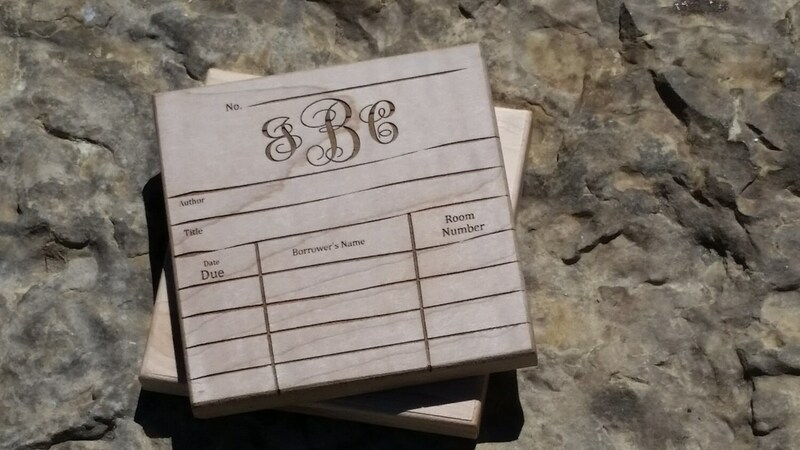 Library due date card on these beautiful wood coasters was hand designed by us and laser engraved. Each coaster can be monogrammed as shown in the picture or personalized with the full name of your favorite librarian. Have her place her tea or coffee cup on one of them at work and one at home. 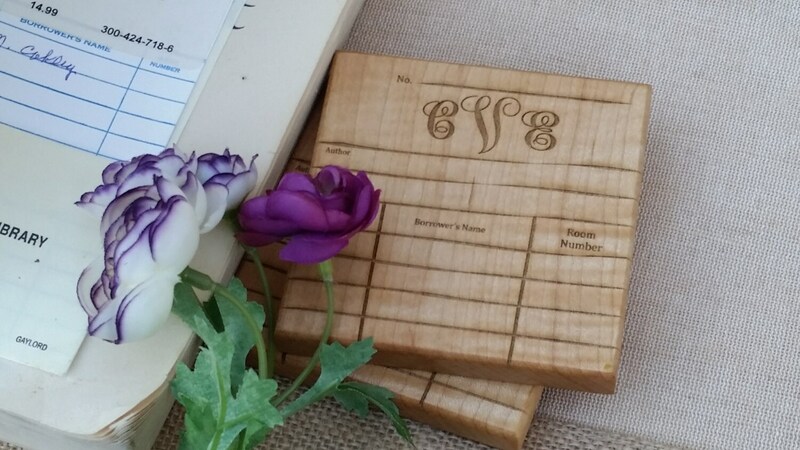 These coasters are hand crafted and designed from solid wood, and are engraved by us with lots of attention to detail. 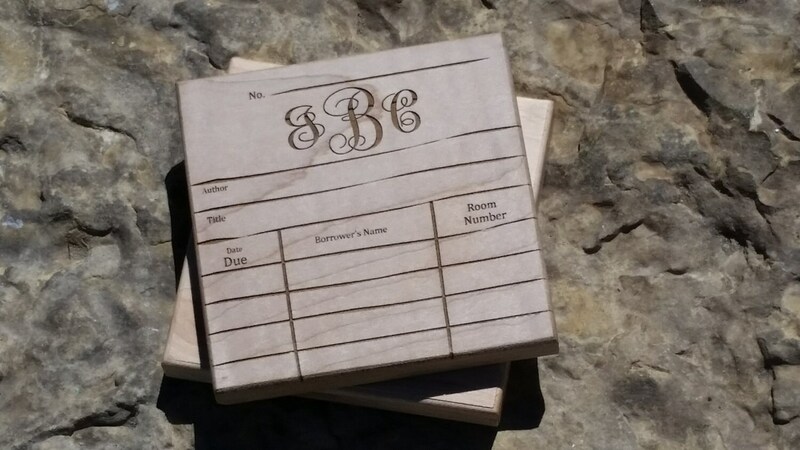 If you would like something engraved on it just let us know. We love custom orders.